"Your work, your deathcraft, pleases the Night Mother. And so, I come to you with an offering. An opportunity... to join our rather unique family." "Have you not heard of the Dark Brotherhood? Of the remorseless guild of paid assassins and homicidal cutthroats? 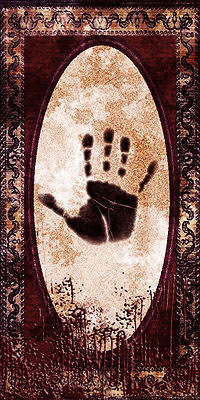 Join us and you'll find the Dark Brotherhood all that and so much more. We are more than anything a union of like minded individuals." The Dark Brotherhood has always been an organization with the purpose of assassination and professional killing. They are the harbingers of death and executors of silent, covert assassinations. Besides working in the field of assassinations, the organization itself is a clandestine operations group.The Brotherhood's divine purpose is to serve The Dread Lord and follow his desires, which they achieve through the word of the Night Mother. The Order's leaders and assassins would sometimes take several concise, lengthy steps to complete an assassination attempt. The specific chapter in question will be in operation in Wayrest, after the decline of the former sanctuary, ran by different faces. I wish you a bunch of good times with your Dark Brotherhood guild. Here's a little poem that you can find in Murkmire. I thought it rather fittting.